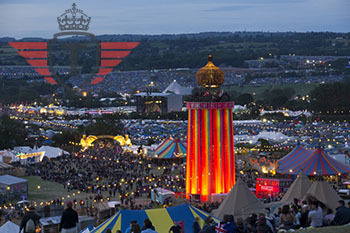 If you are looking for new and exciting ways to spend your days off work this summer, or you are simply one of those people who love music more than anything else, then the following list of the best music festivals in Europe this summer is just the thing for you. Elon Musk, the South-African born entrepreneur, is definitely one of the most important figures in the present day science, technology and business world. In the beginning of his career he was one of the original founders of PayPal. 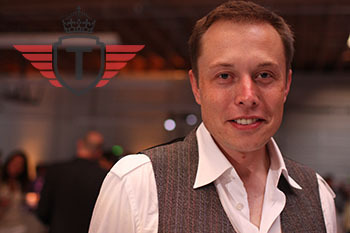 Today his company Tesla is making striking innovations that are going to revolutionize all aspects of human life – from the way we commute and do home and office and commercial goods removals due to the self-driving technology the company is implementing in the cars they produce to space travel and the use of renewable energy. Sixty four percent of all aspiring home buyers in the UK live in rental accommodation before being able to buy their very own first home. One of the biggest financial hurdles faced by first time home buyers is saving up for deposit. High percentage deposits are indicated as the biggest barrier for new home buyers, forcing them to seek other solutions as only forty one percent of the analysed group receive any financial assistance, whilst the remaining sixty two percent of people live in with their parents or other family members. Saving up for first time home buying deposit is also a challenge for most people as they have to pay their current rent, and put money aside for the much needed deposit. The average rent across the United Kingdom currently sits as 681.7 pounds per month. Twenty five percent of all new home buyers living with their parents do not pay rent to mum and dad, they have stated that this money is being put towards their deposit instead. On the other hand, fifty two percent of all potential homebuyers (living in family accommodation) do pay rent to their family, furthermore twenty two percent of all first time homebuyers contribute some amount to the weekly food and bill expenses of the household. There are also others who simply pay whatever they can afford to their family landlords on a monthly basis – they are the people who are in no particular rush to leave the family nest just yet. Buying a first time home is a big deal for most people, as there so many important considerations, commitments and decisions to be made. 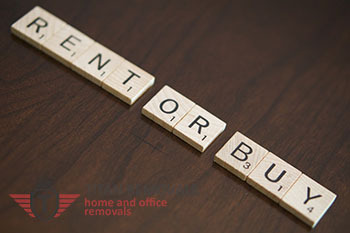 The many additional yet necessary expenses that go hand in hand with buying one’s first home are not to be ignored, even something mundane as finding and securing the services of a specialised removal company should be factored in before making any major steps and financial commitments. Bank representative say that financial institutions are open to actively working together with first time home buyers to help them realise their dream. Indeed a clichéd statement, but there are certain financial tools out there which do help aspiring home buyers overcome some hurdles to buying a house. At the same time, about five million tenants across the country have no feasible plan to cover their rental expenses should the fall ill or be injured, therefore out of work for up to three months – this could be worrying. Another issue is moving from one rented p[lace to another with additional expenses like end of tenancy cleaning. Recent cuts to housing benefits could also expose such people to more risk. There are other alarming figures as well such as – twenty four percent of all employed renters know a person who struggles with their rent. Overall, thirty four of all tenants do not know how they can cope if unable to pay their rent. 60% of those who did have a contingency plan in place, said they could only afford about three months’ worth of rent covered by their savings. The planned cuts in housing benefits are expected to strain an already strained renters group even more. Moving your home or office can be challenging, but there are many ways to make the whole project less of an ordeal. If looking to make your domestic or business removal more efficient and save yourself a decent amount of hassle and resources break down the process into chunks. Dealing with each stage separately will keep things on track and help you stay organised and on top of things. It is absolutely crucial to allocate enough time for the whole removal, this includes organising and prep work as well as factoring in any additional aspects which may arise in due course. Rushing things through will not help – save yourself the stress and start planning and organising well ahead of time. Depending on the scale and complexity of your property removal, start preparations at least six weeks earlier. This time frame will help you choose the most suitable service provider, and give you the time to organise things on your end without rushing or skipping steps. Arrange for additional things to be taken care of in the meantime, things like transfer or telecom and utility services, mail redirection, cancelling of subscription and delivery services etc. all need to be taken care of in the four to six weeks before actual removal. If shifting from a rental property, get in touch with the agency or landlord and check if they have any specific requirements concerning you, administrative or other. Being aware of you duties and responsibilities prior to moving out will help you keep on top of things. Traveling light is an essential aspect of any property removal, residential or commercial. At first glance, it might seem you need an army of people and vehicles to get everything moved from A to B, but that’s not always the case. Parting ways with unwanted items and goods is very important as you don’t want to be paying good money for removal of things you don’t really need. Review the property’s contents room by room/area by area and try and determine which items you no longer need – in the course of occupation people tend to accumulate a lot of clutter which only takes up valuable living or working space. Make a list and single out the things you don’t need to include in the removal. If there are heavy/bulky objects let the movers handle it prior or on removal day. You can organise for a removal and disposal team to visit your address the day before the movers come so the two teams aren’t in each other’s way. If the stuff you need to get rid of is general household clutter, small bits and pieces or personal effects then perhaps you can deal with it yourself – this will save you time and money. Packing of goods – here you have two options – A, do the packing yourself or B, let the movers do it for you. Remember that either way, packing and securing of valuables is crucial for safe handling and quick transportation. Before industrialisation of manufacturing, beds were made without any specific size or dimensions. Back then there were no standardised bedframe or mattress sizes and bedding was made according to what people needed and could afford. Nowadays, things have changed quite a bit, and most countries have their own set of standard bed and mattress sizes. However there are a number of bed and mattress sizes which are considered universal in most regions of the world. This means that universal bed sizes can be purchased outright from manufacturers and retailers without any additional customisation. Bespoke bedding is also available from many manufacturers, including in Great Britain. Usually the size of a standard bed is based on the measurements of a standard mattress (its size). The standard sized bed or mattress is likely to vary from country to country. In some parts of the world, the size of the bed/mattress is also determined by the particular type of bedframe and its level of ornamentation. The technical terminology describing bed and mattress size also varies from region to region so some types of beds can only be found in certain countries. Another specific of bedding size in different regions of the world are the actual dimensions of the mattress itself. There is a tolerance for deviation in standard mattress size depending on the amount of padding and type of support used by the manufacturer. Mattress thickness is another dimension which sets bed sizes apart, some countries do include the thickness of a mattress in bed sizing, while others do not include this measurement when determining a bed’s size. When choosing or determining bed sizes, the dimensions of the actual bed frame must also be factored in. A bedframe is almost always larger than the mattress it needs to accommodate. This provides for better structural rigidity and may also play a role in bed aesthetics (provides for a more appealing bedding design). It is important to consider bed sizes and be aware of correct mattress and bedframe dimensions. There are many cases where knowing the correct bed size is very important such as bedroom interior design, property removals, fitting new mattress over existing bedframe etc. In the case of property removals, being aware of the correct bed size will facilitate a swifter and more efficient relocation. 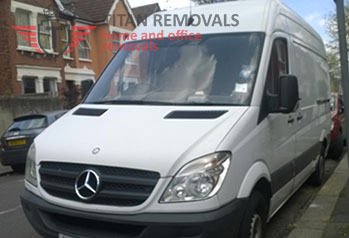 If you are unsure about what size bed you need to relocate, consult with your selected removal company in London for advice on size and adequate means of transportation. In order to better understand bed sizes, first of all make sure you are getting familiar with the correct standard sizes for particular country or region and keep in mind that even sizes’ names might match their dimensions may vary. Below are listed the standard dimensions of beds in the United Kingdom. With residential space quickly running out in the British capital, many people are considering living in one of the many high-rise apartment buildings popping up all over London. Flat with a view might be an enticing option for many people, but moving into one of those properties is a tat different than moving from a one or two storey house to another. There are also certain rules and regulations applied by default by most high-rise apartment building management, they must also be met accordingly to avoid any issues or additional fees. 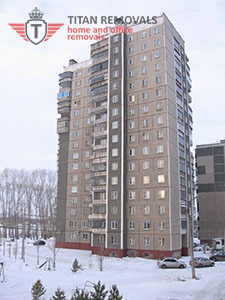 Below are outlined some of the more important rules and regulations valid in many high-rise apartment buildings. 1. Building management must be informed of your moving in, well ahead of actual move day. Building manager must be notified of precise day and time, so they can authorise you moving in. Failing to do so might result in additional fees and/or delays. 2. Using the correct technical infrastructure – many new apartment buildings have a designated entry/exit and elevator for moving in and out of furniture, appliances etc. You should check which of the lifts is designated as ‘service elevator’ and use it for moving your belongings up to your floor. Again, failing to do so will likely result in fees and delays. Consult with onsite building manager where the service elevator is. Sometimes it might be necessary to book the elevator in advance to gain access. 3. Many of the new apartment buildings also come courtesy with a number of luggage trolleys. Speak to the onsite building manager to see if trolleys are available and if you can use one for your belongings. Using a trolley will make the entire moving in process quicker and more efficient. If no such trolleys are available let your movers know and they will acquire the necessary equipment ahead of actual moving in. The advice listed below is quite valid for any type of property removal, but applying it in this case will make all the difference and save you a ton of unnecessary hassles. Travel light – the less you have to move the better, that’s a fact. De-clutter well before moving and don’t pay good money to relocate items you no longer need. This will also reduce time and costs of moving into a high-rise apartment building. Pack properly – since you will most likely be using removal trolleys, service lifts etc. it is best to have all your stuff packed tightly. The more compact you pack the more efficient the removal process. 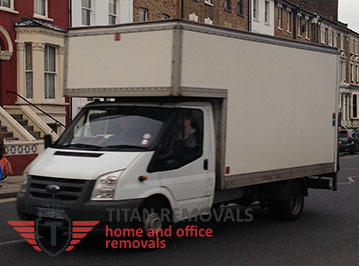 Consider using a removal company in London which is experienced in high-rise removals. Keep in mind that moving into a high-rise apartment building on an average takes longer than moving into any other type of residential property. Check with building management if the infrastructure you require (service lifts, trolleys etc.) is available when you need it as some buildings only allow use of these at specific times or days of the week. In ninety percent of the time, large items are part of home and office removal projects. Whether it be a king size mattress, a large wardrobe or a two door fridge, there is at least one oversized or heavy items that poses a challenge to shift. Dealing with bulky or heavy items is nothing new for most professional removal companies in London, so if your home or office removal requires handling such objects by all means let the movers deal with that as they have required skills and expertise. There are other ways to deal effectively with large items – like for instance, don’t make them part of the removal. On many occasions, it is easier and more efficient to ditch the item, or dispose of it in favour of buying a new one after moving in. So the question about oversized items really boils down to remove or to dispose. If people wish to take certain large objects along, and make them part of the removal there are a number of ways to do this. Usually the removal teams will determine which the most suitable option is given the size and weight of the item. Disassembly and removal in pieces – this is usually a good solution provided the object can be dismantled and transported safely in pieces. This is a suitable option when relocating various pieces of furniture. However, some furniture cannot be or shouldn’t be taken apart as it cannot be put back together. If unsure, by all means consult with your removal team before doing any disassembly on your own. Securing and transporting as one piece – there are many instances where a given item cannot be taken apart for a safer and more efficient removal, this is the case with fridges, washing machines etc. In one such situation it is best to pack and secure the item so to avoid damage during handling and transit. Most removal companies use various size and weight dollies or trollies to shift, load and offload such heavy or large sized items without causing damage or injury. In many instanced shifting certain large or heavy items is inefficient, risky and downright uneconomical. If that’s the case, then it is best to dispose of the object and save yourself time and resources. 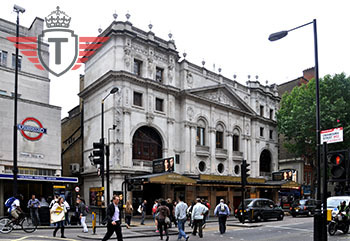 Most professional removal companies in London can organise for a quick and efficient waste removal to be carried out alongside your home or office move. This will save you time, effort and money from dealing with the disposal on your own. If the selected removal company doesn’t provide a waste disposal service, households and commercial establishments can turn to local councils for collection and disposal of various bulky, or oversized items such as mattresses, redundant appliances, unwanted furniture and many more. This however is a paid service, and usually bounded by certain terms and conditions. Keep in mind that some councils only collect large waste items in a specific day and time of each week or month. 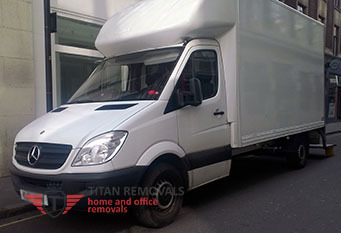 Home removals are usually regarded in two respects. On one hand, there is the prevailing attitude is that moving homes is one of the most stressful things that a person can go through their life. On the other hand the transition can mean meeting new people, starting a new job or just another adventure, which are all positive things. But have you thought about those rarely discussed benefits a home move can have on you? Home removals make you more organized. Preparing your household for the home removal means that you will need to implement time-management strategies, plan ahead and take time to rearrange your schedule. You will have to coordinate between your own family, the removal company and local administrations. Eventually this will help you become much more organized than you are right now, which is a quality worth having, especially in the busy modern time we are living in, when no one seems to have a laid back schedule. Moving homes will bring your family together. If you do not let the tension of preparing for changing your home get to you, the whole process can actually turn out to be very beneficial for your family. This is particularly true if you make the kids part of the process. It is not said that you should entrust them with great responsibilities, but rather small tasks that will make them feel involved. Working with your loved ones towards a unified goal can easily make you love one another even more. You are going to learn that less is more. During the time when you are packing and sorting out the things you are to take to the new place – being furniture, appliances, books or clothes, you will come across the most obvious tip of them all – that you should get rid of those items that you are not certain you will need in the future. If you follow that advice you are going to significantly improve you packing and moving experience, of course, but you will also learn that hoarding is not something that should be tolerated if you want to live a quality life. You will brush up on your social skills. Surely, you will have new neighbors and you will meet lots of other people along the way. Even before that you will have to talk to the moving company, people from local councils, to lead negotiations with banks, landlords and owners of the new property, etc. The one surprising benefit from all of this is that you will become much better in social situations where most people feel uncomfortable. Such a thing will definitely give you an edge in what is to follow in your career. You are going to realize that change sometimes is good. There comes a time in everyone’s life when we need stability, but we should also make sure to do certain changes in our routine before everything becomes stagnated and boring. A home removal would be the perfect occasion to make such a change. Moving contractors all across the country are showing a significant increase in business these days. This should show you how many people realize the simple truth that nothing is able to substitute a good removal service, no matter how tight your budget is. Actually, experience shows that attempting to handle all moving-related tasks on your own would come out as being far more expensive than hiring professionals to take care of them. If you are afraid that your budget is too tight, you can always request quotes from several contractors operating in your area, thus finding out which one offers the lowest rates. What is more, movers often work on mid-week and special day discounts, so you can always tailor and schedule your relocation around such a day. No, it is not. It is neither just another pre-move task that you should cross off your to-do list. Making your goods road worthy is the most important aspect of your project. So you should start thinking about how you are going to pack and prepare your things immediately after you decide to move. Do not try to save money off packing – get the highest quality moving boxes, labels, tape and markers and get the job done properly. Remember that color-coding is your friend. If you find out that you do not have the time or the energy to tackle the packing process properly, then ask your moving company for help, or at least tips on how to manage the whole process easier. We are not saying that you cannot count on your closest people, but you should have in mind that home moving is a very strenuous and time-consuming job. On the other hand, your friends have lives and responsibilities too, so they might just not be able to do what you ask them to. In order to maximize the chances of a positive answer when you call a friend to help with your upcoming relocation, you should get in touch with them as early as possible. If they are good friends, you will give them enough advanced notice to arrange their schedule properly. Make sure that you show respect and understanding towards those who turn you down, and of course gratitude to those who show up. In the best case scenario however, it would be much more reasonable to have your upcoming moving project carried out by a team of licensed professional movers. It would be the easiest and most sensible way to get the job done, and will cause you the least trouble too. If you are interested in the inner workings of the professional property relocation industry or the specifics of everyday removal and delivery services then perhaps the News and Advice section of our official company website is what you are after. Titan Removals maintains an unbiased, informative and easy to navigate blog featuring written and multimedia content on a variety of issues and topics. Besides news and current affairs in the removals industry, our blog page also provides invaluable advice on how to make moving places less of an ordeal and more of a pleasant chore. Browse through our blog for handy tips and practical advice on packing and inventory of items, moving with kids and pets, long distance and international removals, cost effective storage solutions, choosing the right removal company etc. In order to keep our readers up to date with the latest in moving industry news and current affairs, as well as innovations in removal practices the blog is updated regularly with new content. The articles and other material posted there are researched and compiled by dedicated writers and contributors who are always on the lookout for new topics and issues to shine light on. We welcome readers’ feedback.